Pennsylvania science and technology university takes its innovative experiential learning model online with help from Altius Education’s learning platform, Helix. 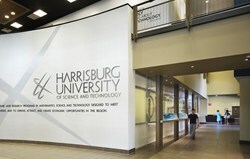 Harrisburg University of Science and Technology to offer two new online M.S. programs focused on big data. When we met with Altius and saw the flexibility of the Helix platform and how excited their team was to make something that would work for our faculty, we knew we could create an online program that provided the academic experience we were seeking. By 2015, it’s estimated that 4.4 million IT jobs will be created in the U.S. to support big data, and Harrisburg University of Science and Technology in Pennsylvania is making sure the next generation of data analysts are ready to meet the demand. Starting this summer, the career-focused science and technology university will launch two new Master of Science (M.S.) programs in the field of big data that include the use of real data sets, opportunities to work on industry-provided projects, and authentic assessments based on real corporate situations. And thanks to Altius Education’s online learning platform Helix, these two experiential degree programs will also be offered entirely online. Harrisburg University’s M.S. in Analytics and M.S. in Information Systems and Engineering Management (ISEM) are the first full degree programs to be delivered on Altius Education’s online learning platform, Helix. The programs were created by Harrisburg University faculty who then partnered with Altius’ development and instructional design teams to create an online experience consistent with the university’s learning model. In addition to advances in user interface design and social integration, the programs will also feature robust analytics reporting. The online M.S. in Analytics will feature a unique combination of mathematical and statistical study with a focus on advanced computational and data analysis. Students in the program will learn to identify patterns and trends; interpret and gain insight from vast quantities of structured and unstructured data; and how to communicate their findings in practical, useful terms. The online M.S. in Information Systems Engineering and Management is an interdisciplinary program that simultaneously addresses information systems, systems engineering and management, with a concentration in business analytics. To further ensure that the new online M.S. programs align with the needs of the market, Altius Education and Harrisburg University have also assembled an Employer Advisory Board made up of analytics experts from corporations such as LinkedIn, IBM, SAS, and Versatile Systems. Members of the board will meet quarterly with Harrisburg University faculty to inform the further development of the programs’ curricula and share insight on what’s needed to solve the skills gap for analytics professionals. The Employee Advisory Board will also provide internships and projects to students in the programs—these experiential opportunities are the hallmark of Harrisburg University’s approach to STEM education. To learn more about the program visit http://harrisburgu.edu/online-graduate-degrees/new. For press information about Altius Education, Harrisburg University, and the Helix online learning platform contact Megan Murray at megan.murray(at)altiused(dot)com or 415-655-8307. Altius Education is creating a new model for US higher education focused on student success. The company’s approach brings together the best of non-profit and for-profit institutions, creating a student-centric university ecosystem that guides students of all ages and backgrounds to positive outcomes. Headquartered in San Francisco, with operations in Ohio, Altius is funded by Maveron, Spark Capital and Charles River Ventures. Accredited by the Middle States Commission on Higher Education, Harrisburg University is a private university offering bachelor-of-science and graduate degree programs in science, technology and math fields. For more information on the University's affordable demand-driven undergraduate and graduate programs, call 717.901.5146 or email, Connect(at)HarrisburgU(dot)edu.